Opening your garage door manually is a thing of the past thanks to the development of highly functional and secure electric openers. Whether your garage door is outdated or your current opener has stopped working, Toms River Door & Window can install a new garage door opener that will function smoothly for years to come. We have been in business since 1971, giving us decades of invaluable experience in exterior remodeling. Our unmatched craftsmanship and family-run values have helped us become a favorite remodeling company in the Jersey Shore area, and we proudly hold an A+ rating with the Better Business Bureau. 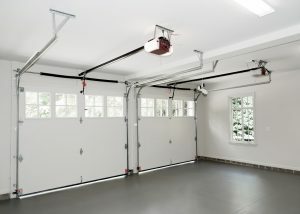 Once you’ve decided on a garage door opener, we will install it for you. We never work with subcontractors – instead, we train our own team of highly skilled installers. This ensures all of our technicians uphold our high standards for workmanship and customer service, so you can feel confident that your project is in good hands. We would be happy to provide a free consultation and estimate at your Jersey Shore home. Our team will ask you about your needs and make recommendations for a garage door opener that will meet them. Contact Toms River Door & Window today to get started.